Jürgen Fritz was born 1958 in the Black Forest in Germany. He studied theatre and the science of music. 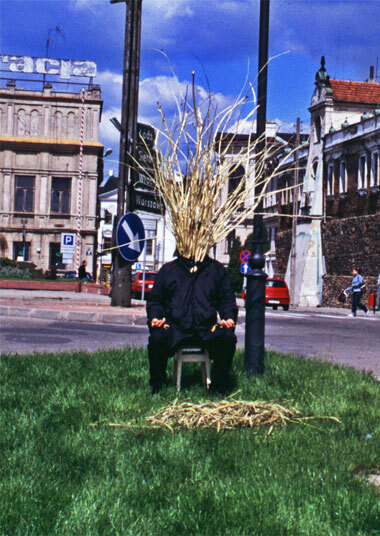 1982 – 1990 he worked as a theater director, curator and actor, since 1984 as performance artist. 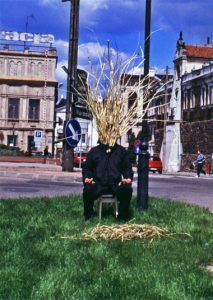 He is cofounder of Black Market, since the beginning of this international Cooperation of Performance Artists whith whom he works since 1985. He showed his performances in all countries of Europe, the USA, Canada, Mexico and Japan. Since 2005 he lives as free lance artist in Hildesheim. Here he is co- founder of the International Performance Association (IPAH, registered association). 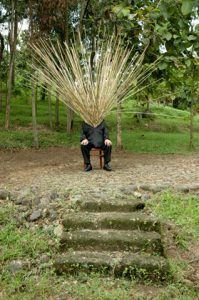 The artistic work of Jürgen Fritz is characterized by an interdisciplinary concept, in which he connects elements from the music, photography, video, body work to performances and performative installations and productions of different kind. He develops his work as well site specific. His conceptual approach is characterized by an impressive concentration and precision. For that he uses simple materials such as bamboo sticks, marbles with which he creates inspiring pictures.